Nollywood, the third biggest filmmaking nation globally, was hugely represented at the recently held The Sun Man of the Year Award, in honour of Edo State Governor, Comrade Adams Aliu Oshiomhole. Aside supplying the compere, Julius Agwu, who gave a good account of himself, other big players from the creative industry were also at the grand gathering and further helped in adding verve and grandeur to it with their intimidating presence and panache. 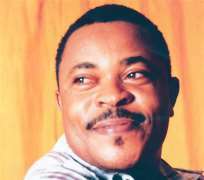 Leading the pack was top comic actor, Victor Osuagwu, he was later joined by the trio of Paul Obazele, the current president of the Association of Movie Producers (AMP), his deputy, Adim Williams and veteran filmmaker, Chief Eddie Ugbomah, OON. Top entertainer Okey Bakassi, now an Executive Assistant on Entertainment to the Imo State government, also graced the grand event that was chaired by Alhaji Atiku Abubakar. cerebral Emeka Mba, the Director General of the National Film and Video Censors Board (NFVCB). Mba, who was swathed in a blazers suit, represented Prof. Dora Akunyili, the Minister of Information and Communications, very well at the epoch event. He later got a standing ovation from all the Nollywood stars at the event, for a job well done in their industry, after the event. In fact, before leaving, some of the visibly elated stars posed for group photographs with Messrs. Mike Awoyinfa and Dimgba Igwe, both Managing Director and Deputy Managing Director of The Sun Publishing Limited.